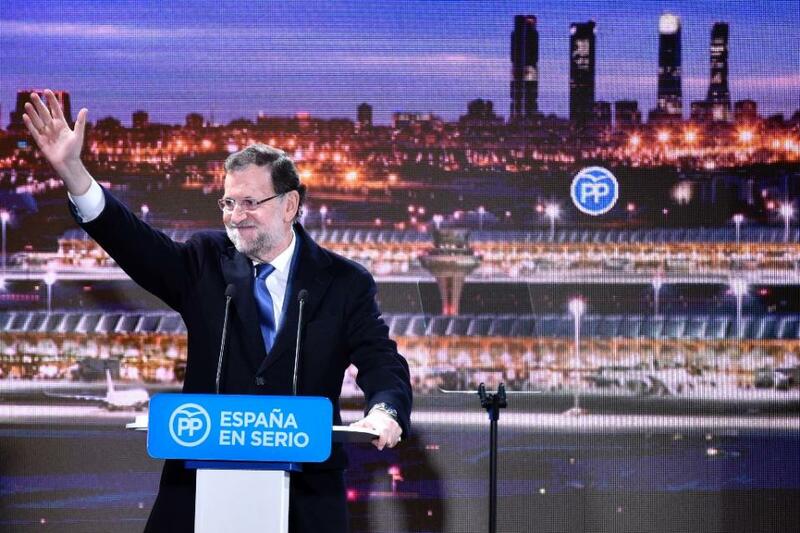 Spanish Prime Minister Mariano Rajoy, a member of the Popular Party (PP), announced shortly before the general election (expected to be on December 20) that a record fall in unemployment took place. Looking closely at the statistics reveals that the missing unemployed have emigrated someplace else. Clearly, there are fewer Spaniards contributing to social insurance than before. Only the number of seasonal workers and of workers as a housemaid increased significantly. Magically, the unemployed Spanish youth, over 60%, are vanishing one way or another when it comes time for elections. Rajoy is projected to get 28.6% of the vote, which is down sharply from the 44.6% his party won during the last election. Rajoy’s Popular Party has been hammered down by corruption scandals, austerity measures, and an unprecedented unemployment rate. The government now claims that unemployment is falling and rests in total at 21.1%. Of course, this stands at U.S. Great Depression levels and is the highest in the Euroland with the exception of Greece. Playing with these numbers ahead of the election is just dishonest and it looks like the majority knows it. The 60-year-old Rajoy faces three challengers, all who were totally unknown when he first took power in 2011. 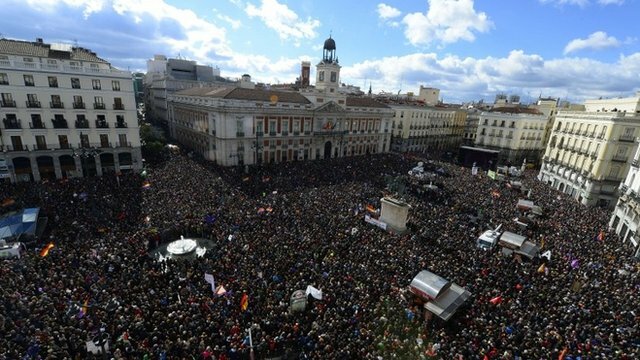 There have been major rallies calling for change and separatist movements as well. There is Albert Rivera, 36, who comes from the centrist Ciudadanos party who is very popular. Then we have the Socialists’ Pedro Sanchez, 43, and far-left Podemos candidate Pablo Iglesias, who is 37. This is illustrating that we have a generational shift starting to unfold in politics everywhere. The peak in government has indeed arrived with 2015.75. We are witnessing a political change that is very profound on a global scale, not just for the 2016 U.S. presidential elections.